Google Earth users have unearthed some unusual structures/landscapes in China and most of these have remained a mystery for last several years. 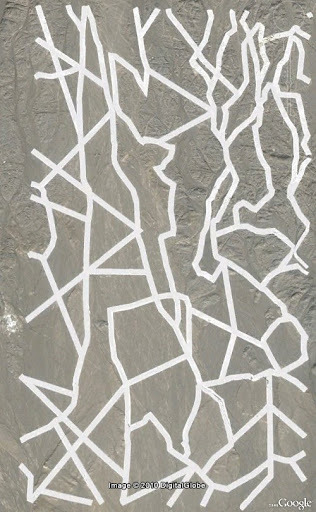 These strange white lines within an area of 1800 x 1000 metres in the desert region of Gansu province, China, are a real mystery. No one knows the purpose of these apparently painted lines each having a width of about 20 metres (~66 feet). 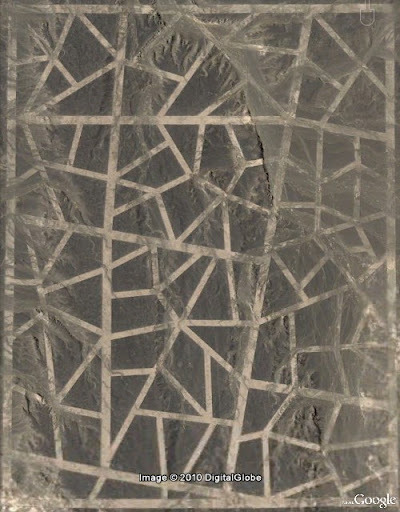 As per historical imagery of Google Earth these lines were built later than August 26, 2003, were incomplete in April 4, 2005 imagery and were completed before May 30, 2005. Two dummy runaways are also in between the zigzag lined areas, so probably all these markings have some military purpose but reason for building the zigzag lines remains a Chinese Puzzle! If these represent the streets/alleys of some city then the billion dollar question is - which city/cities? 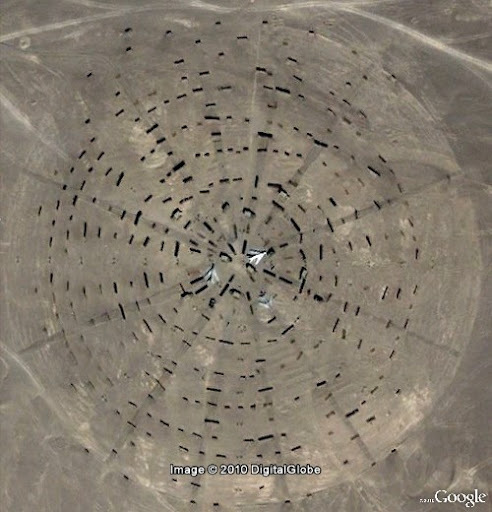 Source of info and more info: "Very unusual site in China" posted by kjfitz in Google Earth Community (GEC) Forum. The post was made on June 22, 2006 and even after a lapse of more than 4 years the mystery remains unsolved. All Credits to kjfitz for finding these and other objects in the area and making above referred post in GEC Forum.